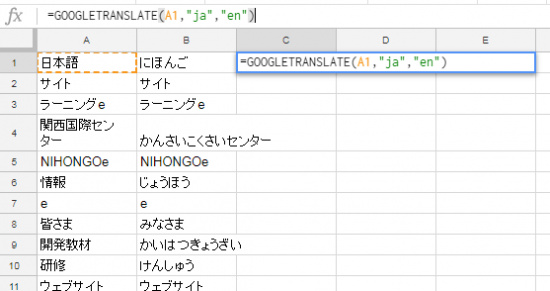 In the Excel edition(Introduction article), we showed you how to use Gensen Web and Microsoft Excel to create a vocabulary list. 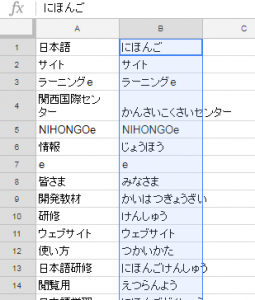 This time, we will show you how to make your very own vocabulary list, using the popular Google Sheets, "Gensen Web", and "Furigana tool"(Introduction article). 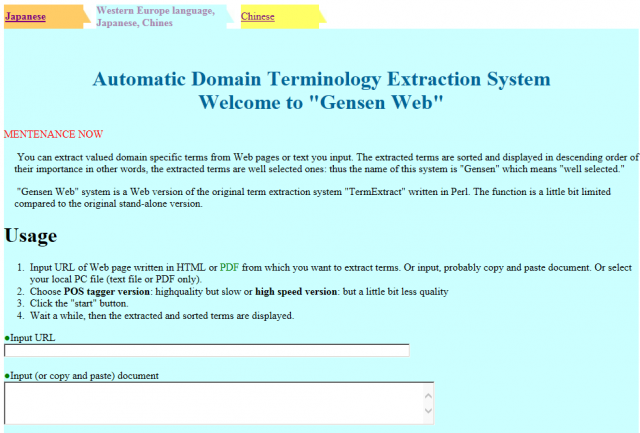 First, use "Gensen Web" (http://gensen.dl.itc.u-tokyo.ac.jp/gensenweb_eng.html) to extract terms from the text. As the title, "Automatic Domain Terminology Extraction System" suggests, this site automatically selects words of crucial value from webpages and Text or PDF (OCR processed) documents written in Japanese. 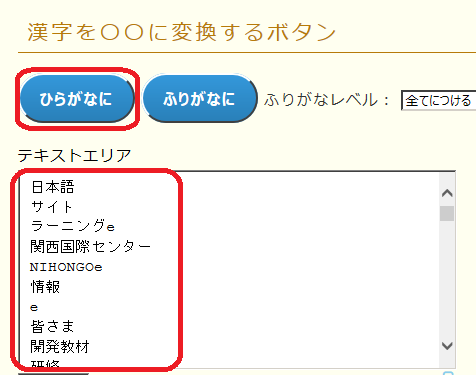 For example, input the Web page URL from which you want to make a vocabulary list and click the start button. 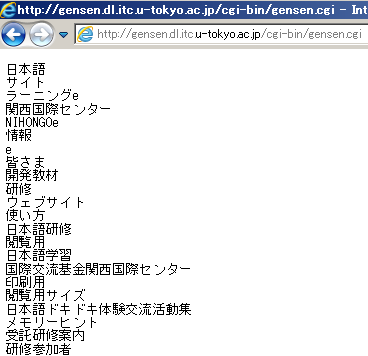 It looks like there are some URLs that you cannot extract terms from. When that happens, try it with Text or PDF! You will see words used in the sentences with high degrees of importance lined up in order from the top, like this. 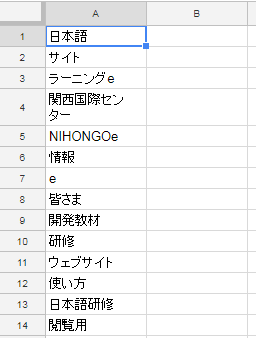 Make a list using Google Sheets based on this data. 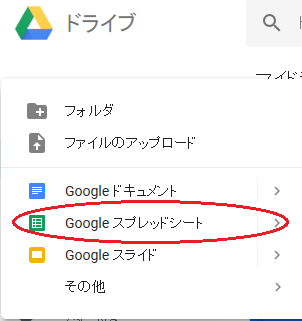 Click "New" in Google Drive and select Google Sheets. 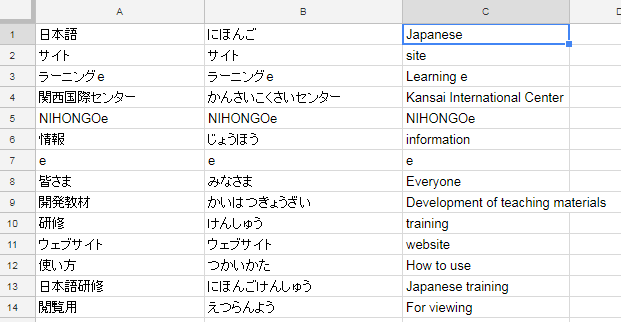 Copy your results in "Gensen Web" and paste them to the A column on the spreadsheet. 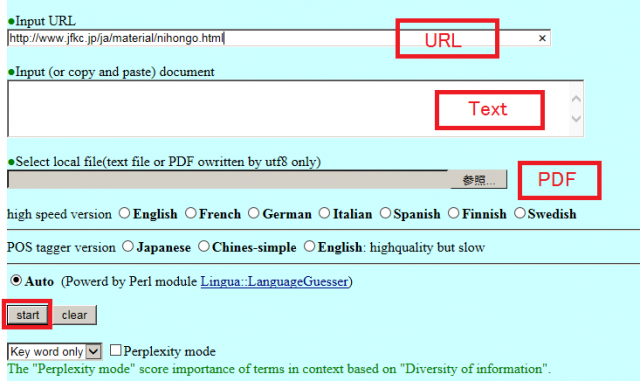 Next, use the "Furigana tool" to look up kanji readings. 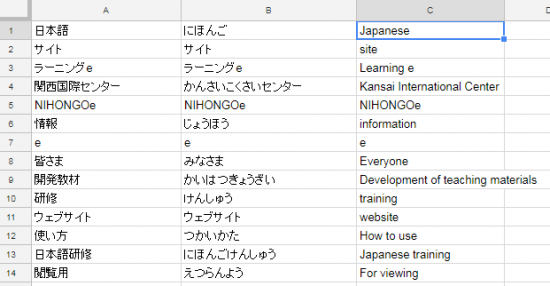 Copy the list of terms on the spreadsheet (column A) and paste them to the box on the left. 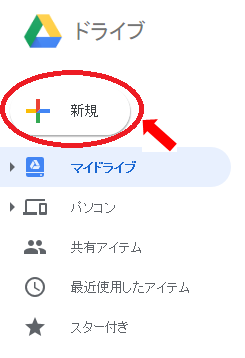 Click the "ひらがなに" button to show the conversion. 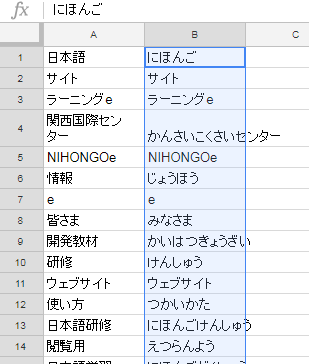 Copy the data that has been converted and paste it to column B on the spreadsheet. Now enter the English translation data in column C.
Type =GOOGLETRANSLATE(A1,"ja","en") into the C1 cell and click Enter. You can change the "en" depending on which language you want the translation for. 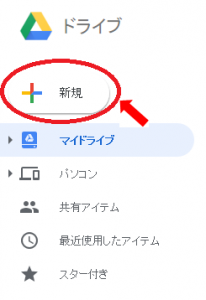 When the English translation of A1 is displayed, move the cursor to the bottom right corner of C1 and double-click. 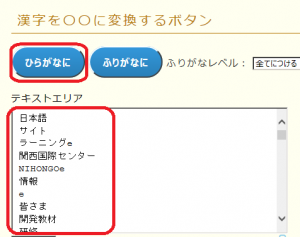 When English translations for all of the words are displayed, your terminology list is complete. 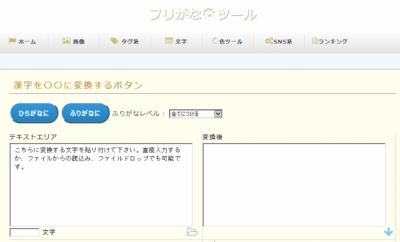 Collect Japanese words from sites and sentences of your choice and make a vocabulary list that is easy for you to use. 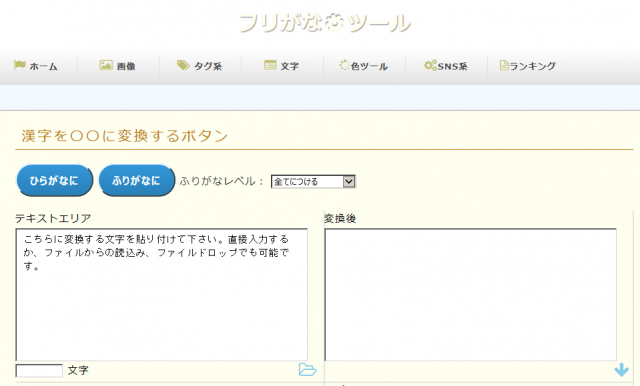 Get creative and use it in various ways to help you study Japanese.